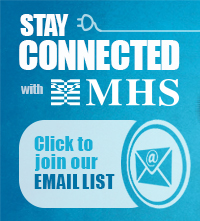 For general inquiries about products, services, status of orders, or accounts, contact customerservice@mhs.com. For quotes on shipping and handling charges for international orders, contact international@mhs.com. For questions or assistance with online or software products, please contact us at support@mhs.com. To submit an assessment for review for publication, contact submissions@mhs.com. Please view our submission guidelines. For data collection requests or opportunities, contact data.collection@mhs.com. If you are experiencing technical difficulties, contact webmaster@mhs.com. For information on training programs for one of the following public safety assessments, please contact the associated email address. For information on training for the LSI-R, contact lsi-r.training@mhs.com. For information on training for the PCL-R, contact pcl-r.training@mhs.com. For information on training for the CALM, contact calm.training@mhs.com. For information on training for the YLS-CMI, contact yls-cmi.training@mhs.com.